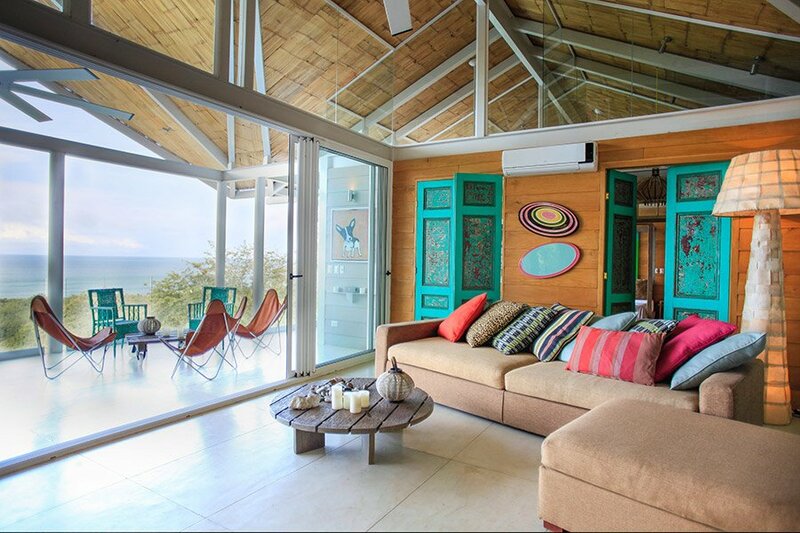 marAmar is an eco friendly safe gated community located only 50mts from the best surf spot in Santa Teresa, La Lora. It combines the convenience of renting a house / apartment / bungalow with the all the comfort of the concierge services. marAmar has a 4HA private nature reserve and its wildlife and tropical jungle gardens are unique in the area. Breathe deeply. Spend time together. Indulge in blissful relaxation and life’s simple pleasures. Escape in pure natural beauty. 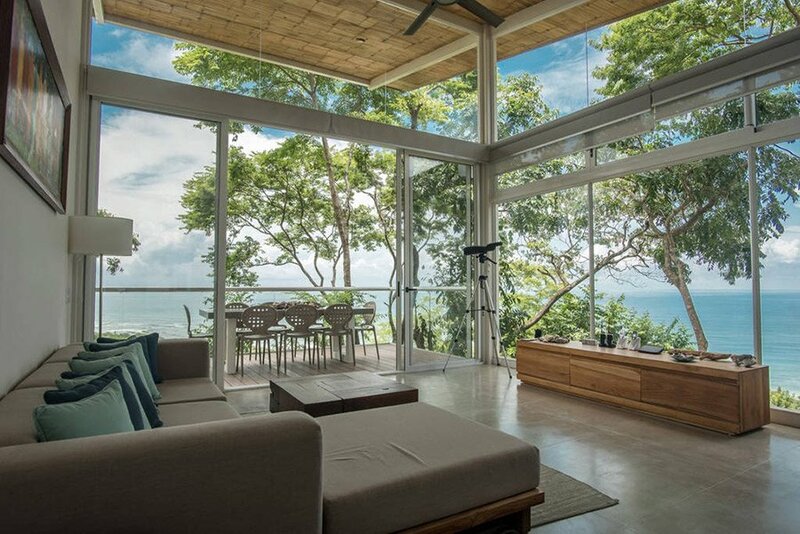 Welcome to Maramar, the only private, luxury, gated eco-community in Santa Teresa, Costa Rica, named one of “the most beautiful beaches in the world” by Forbes Magazine. Live like a local in our luxury vacation rentals and residential community, the ultimate getaway in comfort and style surrounded by nature and steps from the sand and surf. 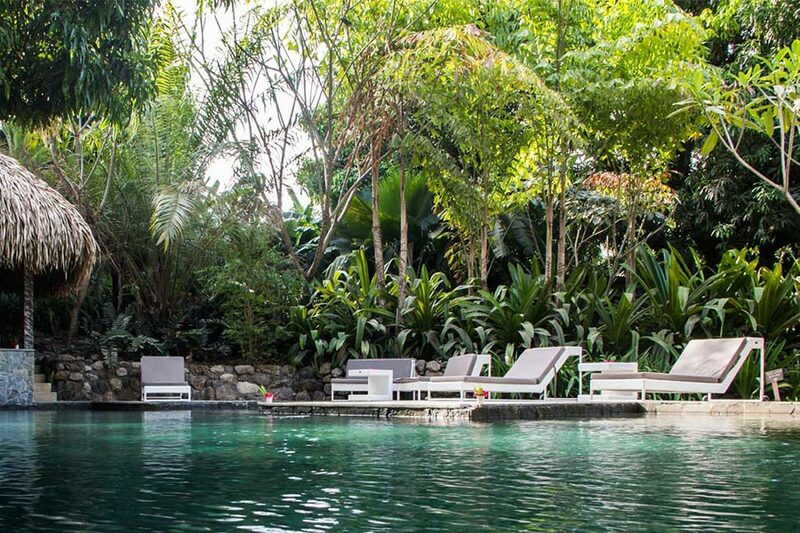 Wake up in a tropical paradise nestled in our private forest reserve full of howler monkeys, tropical birds and butterflies. All of the best surf spots and outdoor adventures are right at our doorstep, plus an exclusive beach club only for residents. Santa Teresa, Costa Rica is a place to enjoy life. Be swept off your feet by the sunsets. Dine under the stars on world-class cuisine from all over the globe. Enjoy a hip, relaxed, cosmopolitan community full of friendly people who love living in an unspoiled, beautiful beach paradise. We rent individual luxury homes for short and long term in our gated community. Rent a safe place to stay with your family or friends and enjoy the relaxing and peaceful surroundings by the beach in Santa Teresa at MARAMAR. There are plenty of activities to do nearby, and it is a perfect spot for surfers, nature lovers and yogis. 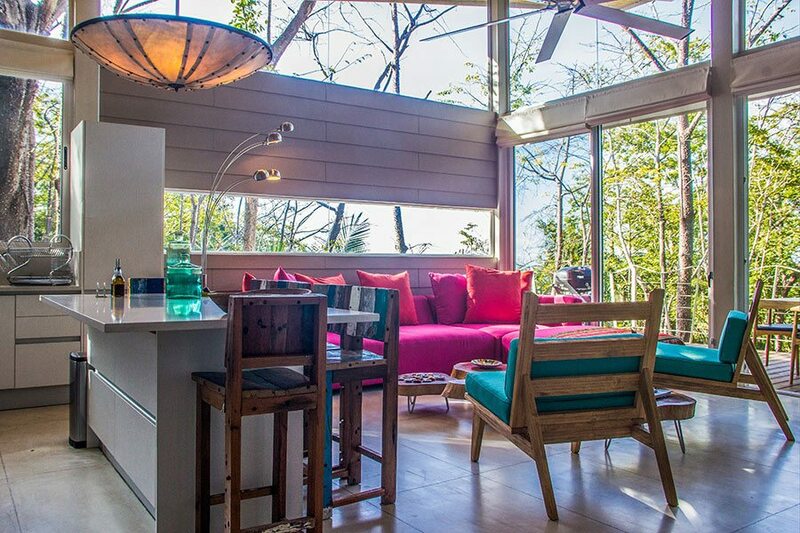 We sell fabulous luxury view-homes overlooking the ocean and surrounded by forest. Invest in your private Santa Teresa villa inside our gated community and enjoy with your family and friends. The Front Desk of marAmar will take care of your property while you are away and the concierge service will take care of your clients. Resale units duplicated figures in the past years. Our time at Nido Verde was absolutely the highlight of our trip! The place is so spacious and beautiful and the view is amazing. Everything you need is there. The distance to the beach is so close, we could walk easily and find the best surfspot right in front. Chris is a very helpful and friendly host. We spend a lot of time in the garden and pool area as well. Its so nice and well maintained. We were surrounded by mango trees, lots of other tropical plants, birds and friendly monkeys. We cannot wait to go back to this little paradise and we highly recommend it to anyone who loves to stay in a beautiful apartment surrounded by nature! Amazing Stay! 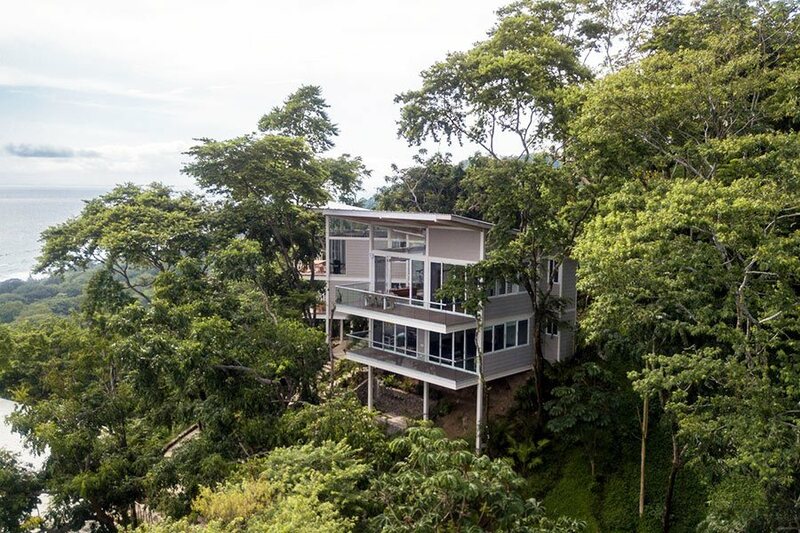 I was traveling around Costa Rica looking at locations for my best friend's wedding, and I wanted to check out Santa Teresa, and found this brand new house on AirBnB. This is one of the best designed homes I have ever stayed at. 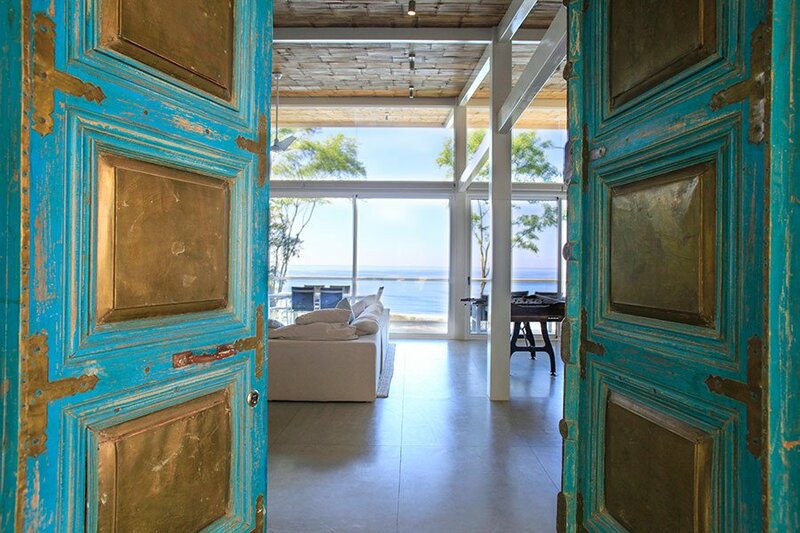 Not only did they have everything you could possibly want, great internet, an amazing kitchen, two incredible en-suite bedrooms, and fantastic art and furniture, but the view of the ocean is absolutely stunning. I've been to Santa Teresa before and loved the area for the surfing, the yoga, and the people, but staying at this house added a new dimension to the whole place. The concierge service was impeccable, the marAmar community and pool fantastic, and even though I was only there for 1 night, I got hotel level maid service! The house even has its own private pool where you can drink a cocktail while watching the sunset. 5 star review here from me, if you are going to Santa Teresa, I cannot recommend it highly enough.